The pantheon of female private investigators dedicated to serving the constituents of their city may want to prepare themselves to add a new member to their legion. Names like Kinsey Millhone (Santa Teresa, California), Claire DeWitt (New Orleans, Louisiana), Kate Brannigan (Manchester, England), and Tess Monaghan (Baltimore, Maryland) immediately call to mind the personalities of those characters and the uniqueness of their locations, but it is probably V. I. Warshawski who is the truest sister in crime for Cassandra “Cass” Raines. 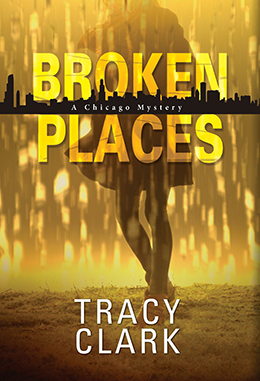 Cass, the protagonist of Tracy Clark’s series debut Broken Places, shares the same city (Chicago), the same social consciousness, and the same grit, stubbornness, and mental acuity as Sara Paretsky’s classic icon. Two years ago, Cass Raines was a member of the Chicago PD, but when the reckless actions of a colleague result in tragedy, Cass resigned immediately. Wanting to still make a difference (and a little money), Cass eventually hangs out her shingle as a private investigator. Other than her previous partner, most members of the police department hardly think about her at all, and when they do, it is usually in the context of “don’t interfere with our investigation.” However, Cass has always been a strong, independent woman and she knows that the same careless actions that caused her to quit the force likely also results in some shoddy “official” investigations. When Father Ray Heaton from Saint Brendan’s parish reaches out to ask Cass to look into a rash of vandalism around the church, she does not even need to think twice. Father Ray was the only father-figure Cass had growing up and she can sense how concerned he is. Unfortunately, even before she can start to investigate, Heaton is found dead in one of the confessionals with the body of a young man strewn on the sanctuary floor as well. The police claim it was an interrupted burglary, but Cass has a feeling something else connects these two victims. As Cass begins to interview individuals who knew the two victims, readers will begin to understand Tracy Clark’s level of empathy for under-served communities within the city. The investigation brings Cass into the realm of the poor, the homeless, the addicts, and other fringe groups, but she always interacts with them as equals, always with the aim of getting the necessary answers regardless of the consequences. Broken Places is full of diversity, something that is desperately needed within the crime fiction genre, but it is never done to fill a quota and instead just feels like an authentic representation of the city in which the novel is set. Over the course of her inquires, Cass Raines gathers together a rag-tag group of misfits who assist her when needed. Make no mistake, Cass is more than capable of handling any physical exertion necessary – and lord knows, she does get herself into some unenviable predicaments – and Cass’s mind is as sharp as a tack, but every leader needs a crew and these characters have Cass’s back. Broken Places has received both critical praise and award recognition, so it seems that Cass Raines – and Tracy Clark – are going to be part of the crime fiction community for some time. To read her is to be a fan of her, so do not waste another moment – read Tracy Clark’s Broken Places today. 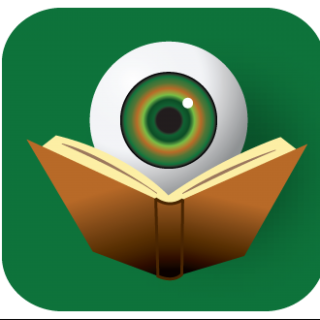 I just started reading the book and am really enjoying it. I’m a fan! I’m am glad that you are enjoying the book, Abby. And thanks for stopping by BOLO Books.